AMRA Tour de Ridges, best week ever? 9th-15th December: I was a spoilt little trail kid this week. 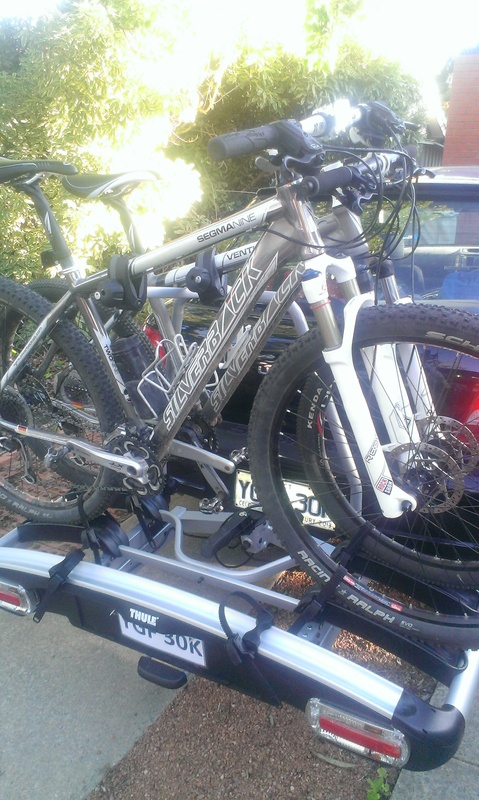 Tues/Weds = Thredbo trip for MTB fun and a long run around Kosci/Charlotte’s Pass/Main Range loop. 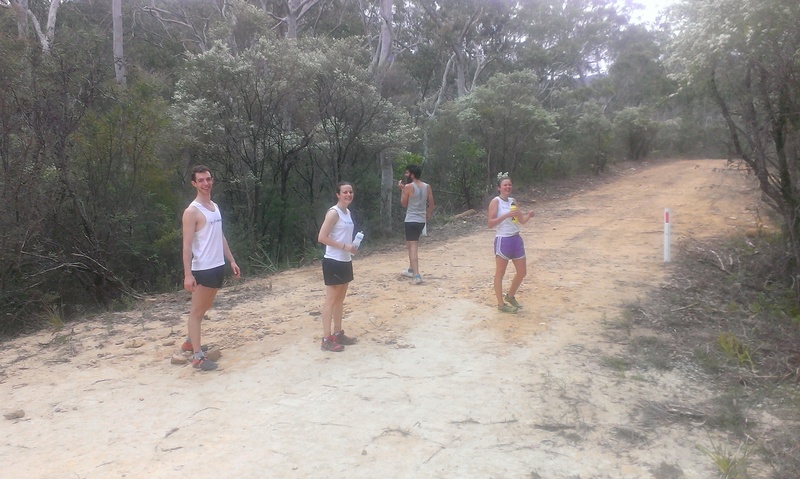 Fri/Sat = Katoomba trip for Mt Solitary long run/hike and a hills session on Nellies Glen. 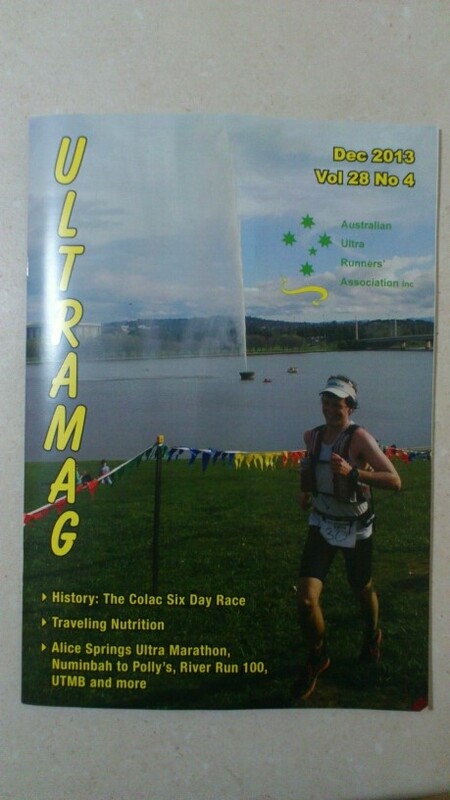 Sun = Back in Canberra for AMRA Tour de Ridges 21km race. Looked like a high quality field and I thought I might struggle after a big training week. One of the younger uni guys, Tom Body, led off at the start. I was at the front of a chase group including the likes of Paul Cuthbert, Rob Walter, Tim Cochrane, Scott Imhoff, Jeremy Gallant. Rob and I took the lead after a few km and I decided to take a risk – push as hard as possible and try to bury everyone else, hoping that I could keep it up. This seemed to work pretty well as Rob and I gapped the rest of the field. I would get a small lead on each of the downhills and hold it on the flats, before Rob would catch up on the major climbs. We also were lucky enough (and a bit freaked out) to spot a huge wedge tailed eagle perched on the ground a couple of metres from the fire trail. After the 16km mark it’s pretty much flat fire trail to the finish, and I had maybe a 10 second lead. Rob burned me by about 10 seconds per km for the last section and finished 30s ahead. I couldn’t quite latch on to him, but was pretty stoked with a close 2nd, as this was by far the closest I’ve ever been to him (usually it’s a km or two in races of this distance). This was also a course PB for me by 5mins or so. 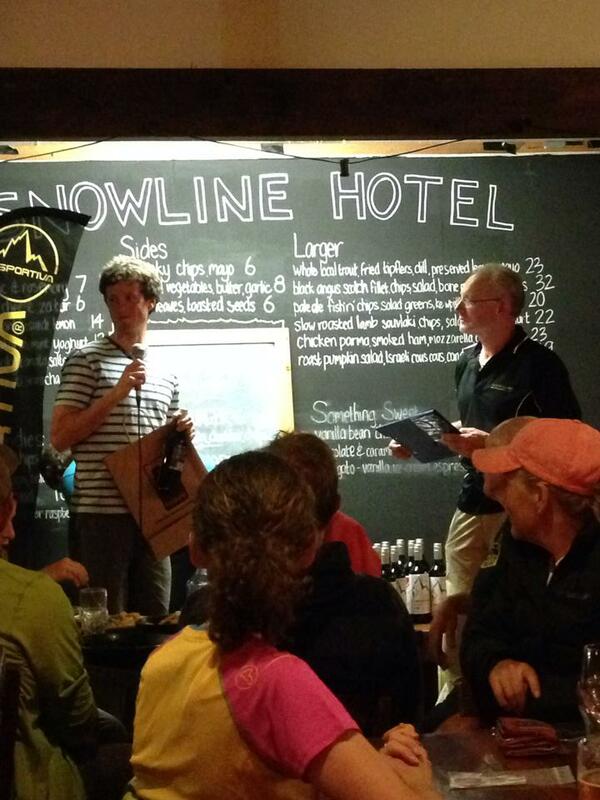 Tim Cochrane came in for 3rd and I considered myself lucky he wasn’t in peak form. Hanny Allston set a new women’s course record. Good atmosphere with everyone hanging around afterwards to collect spot prizes of wine and chocolates courtesy of John Harding/AMRA. A few boys from uni finished strongly which is a good sign for ANU’s Inward Bound competition that is coming up in March. 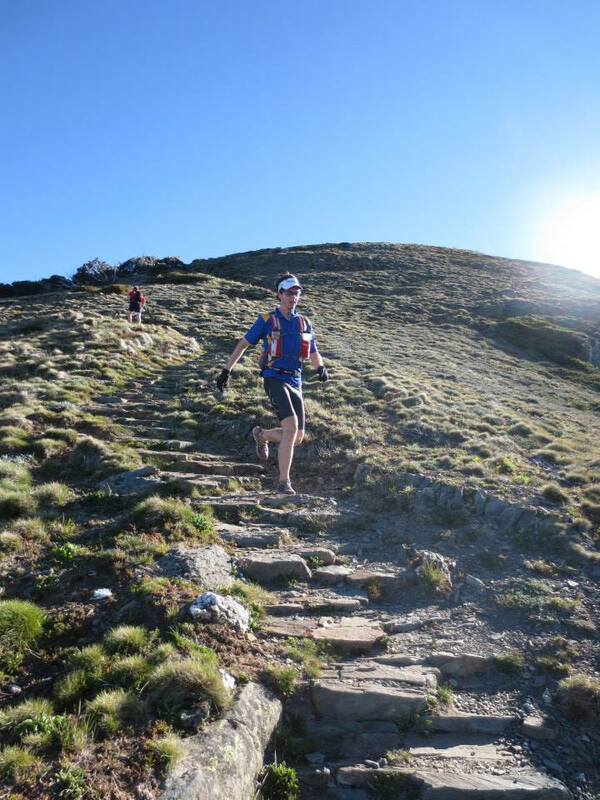 My focus is now on Bogong to Hotham (12th Jan) and preparing for the unpredictable weather conditions. 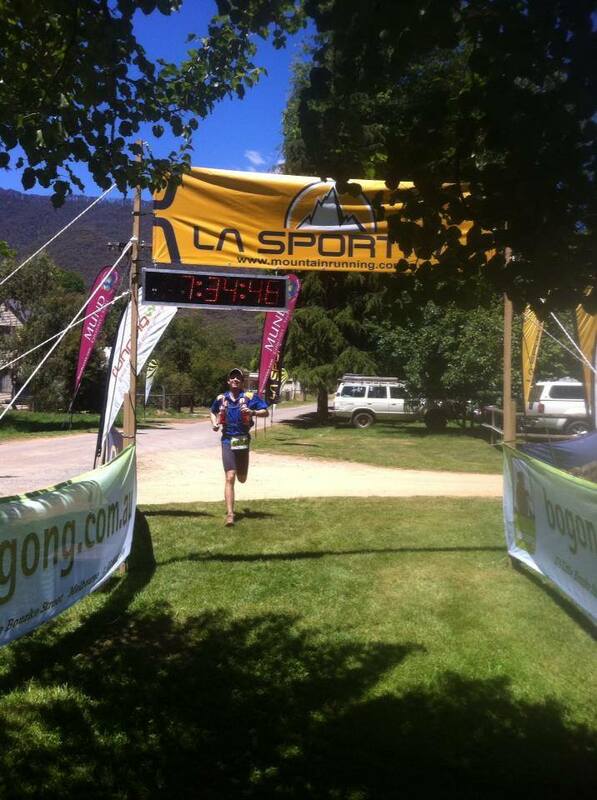 I’m excited to have the opportunity to join the Aussie mountain running section of the La Sportiva ambassador team. I’m loving the lightweight Helios shoe at the moment and look forward to what they come up with in the future. We each get a cute little athlete profile on their website. In Canberra, the La Sportiva trail running offerings are available at Mont Adventure Equipment in Fyshwick. The best views and rockiest single track (covering about 90% of the course) of any race I’ve done. Such a fun region for training and racing. 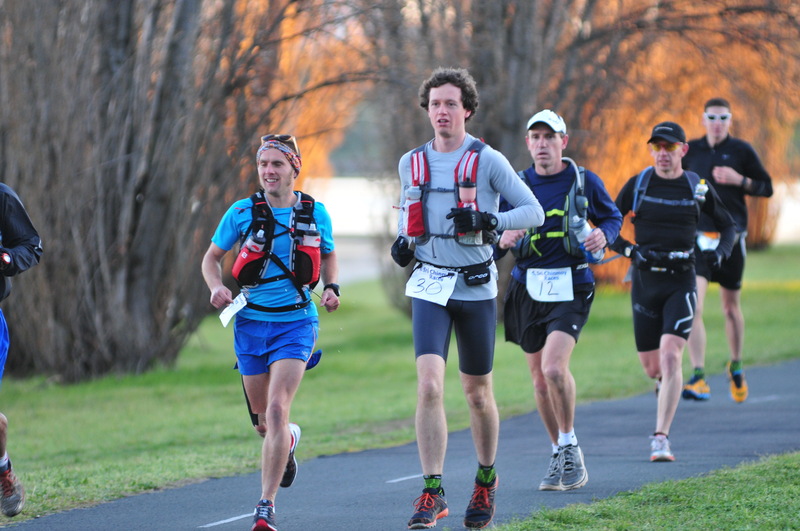 Razorback is due to be run again on 15th March 2014, with 22-68km distance options – be there! Last time I visited Harrietville was for year 10 camp. We hiked up Bungalow Spur to Mt Feathertop and it took a whole day. This time I would be going up, doing a marathon loop around Hotham then coming back down, hopefully in less than a whole day. ANU Tri/Friends buddies Jack Chenoweth and Alex Orme made the trip down from Canberra too. The race start consisted of several shorter distance runners blasting off into the distance, smashing it up Bungalow Spur. I counted 3 of the 64km guys ahead of me on the climb to Feathertop – Damon Goerke, Mick Keyte and Sean Sweetman. We would end up as the top 4. The out and back from Razorback junction to Feathertop summit was pretty special. Firstly, we were tip-toeing along a completely exposed ridgeline, with patches of snow remaining near the peak. Secondly, we got to meet and greet all the runners within ~1km either side of us. An early chance to scope out the competition! The next challenge was a tricky decent down Diamantina Spur. Steep, rocky and hard to follow the track at times, I was hitting 10min/km on a downhill which was a bit disheartening! Turned out I did ok relative to the others, catching sight of Sean and Mick when we reached the fire trail down in the valley. After using our combined navigation prowess to find the most obscure turnoff on the whole course (a small track to the left, behind a big stump), we hiked up the 2nd major climb past Blair and Weston Huts to Pole 333 on the Bogong High Plains. The change in terrain was extreme as we transitioned from creeks and forests to grasslands above the treeline. I think Mick was slightly appalled when I refilled a water bottle from a (flowing) puddle on the side of the trail (that’s what purification tabs are for, right?). At Pole 333, Sean had dropped back a bit, but Mick was close behind me. A split from the volunteer suggested Damon had about 10mins on us (also we couldn’t see him on the horizon, which seemed to be at least a few km away). 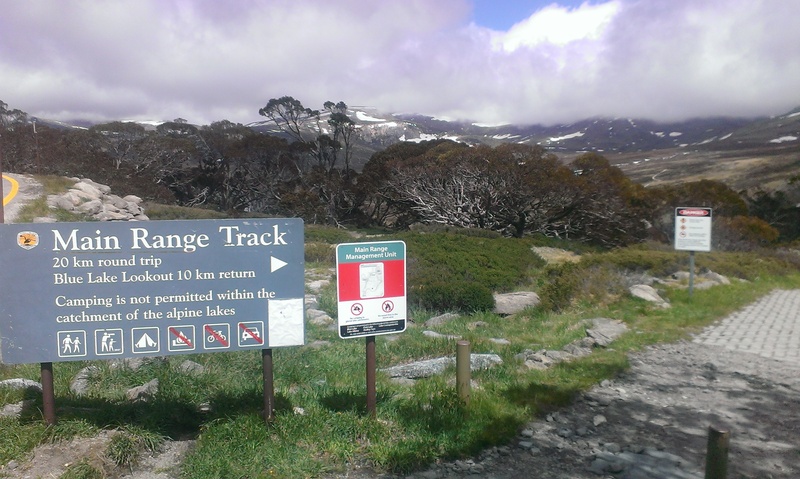 We had hit the Australian Alps Walking Track! It comforted me to see the same little yellow triangles on posts that are littered along the trails at home in ACT. The descent through Cobungra Gap to Dibbin Hut was more open and flowing. Another creek stop for water refills, and we hit the 3rd and final major climb up Swindler’s Spur. A short trot past Mt Loch and some of the Hotham chairlifts and we were at Mt Loch carpark (with the big water treatment open pool). We couldn’t catch a glimpse of Damon on the open ridge line so assumed he was out of reach. Mick and I pushed each other along the Razorback – I’d sneak away a bit on the descents then he’d catch up on the climbs. We made it to Federation Hut for a splash of water, then it was time to split up on the downhill. I took off like a maniac while Mick descended with a bit more control. To my surprise, a couple of hikers mentioned that Damon had gone past not too long ago, maybe 6 minutes, and didn’t appear to be barreling down the hill like a crazy person. This gave me a sniff and I decided to take a few leaps of faith on the chance I might be able to catch him. Some of the 44km runners were still on the course, and as I ran past they estimated splits between Damon and I – 4mins, 3mins, 2mins. Now I could see him on the far side of each gully as we wound our way downhill. It would be useless to catch him and then have nothing left in the tank, so I regained some composure, then attempted to fly past him and discourage any chasing. It was obviously a shock for him to see a fellow competitor for the first time since the 12km mark, and thankfully he didn’t latch on to me for a sprint finish. Now I realised my watch had died, but we should have been around CR time. This was a useless fact to focus on, so I concentrated on not kicking any rocks and getting out of Damon’s line of sight. The final km dash down the main street of Harrietville was a bit painful but adrenaline had taken over. The finish line crew were surprised to see me, and I crossed in 7:34:48. Damon came in 3mins later, also under the 7:41 course record time, and Mick followed about 5mins later. Gill Fowler was next over the line to smash the women’s course record and take the win. 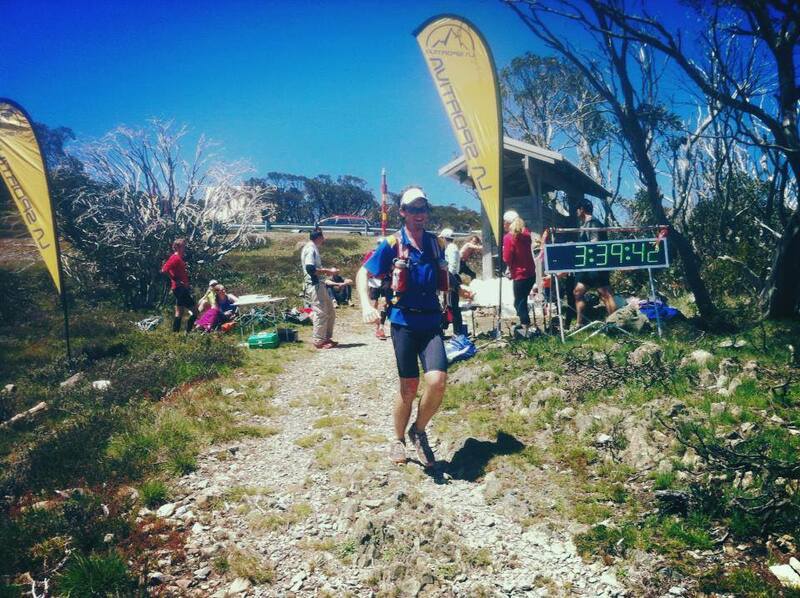 Thanks to La Sportiva, Bogong Equipment and Paul Ashton for putting on an exciting race with beautiful views with challenging trails. During my pre-race stalking of competitors, a few familiar names left me looking forward to the challenge of a closely contested race, with quite a few guys all within reach of each other depending on how things went on the day. After a hectic drive from Belconnen into Lake Burley Griffin, we arrived with five minutes to spare before the start, phew! Saw some friendly faces in the starting bunch including Gus Hayes, Pierre Francois and Damo Stewart. Determined not to be that young guy who went out too hard and paid for it later in the race, it was a relief to have Wes Gibson and Paul Cuthbert lead us out at a reasonable pace. I tucked in with Damian Smith to reminisce about our wrong turn during Tour de Ridges last year while we trotted past Parliament House. Once we hit Red Hill, Wes, Paul, Damo and I worked together to put a bit of time into the rest of the field. Isaac’s Ridge was my favourite section – stories about our favourite races plus some nerdy runner gear chat. Jokes were made about the temptation to take off on the downhill single track but we stuck to our semi-disciplined pacing strategy. The climb up Taylor was the first sustained walking section, and we all followed Paul down the slopes into CP1. Quick transitions all round, Sarah had my “delicious” powdered food ready to go and we were off towards Mt Arawang. On the downhill single track I took a chance to be the rabbit off the front, figuring that the other guys would catch me on the upcoming flats, but it would cost them a bit of extra effort. 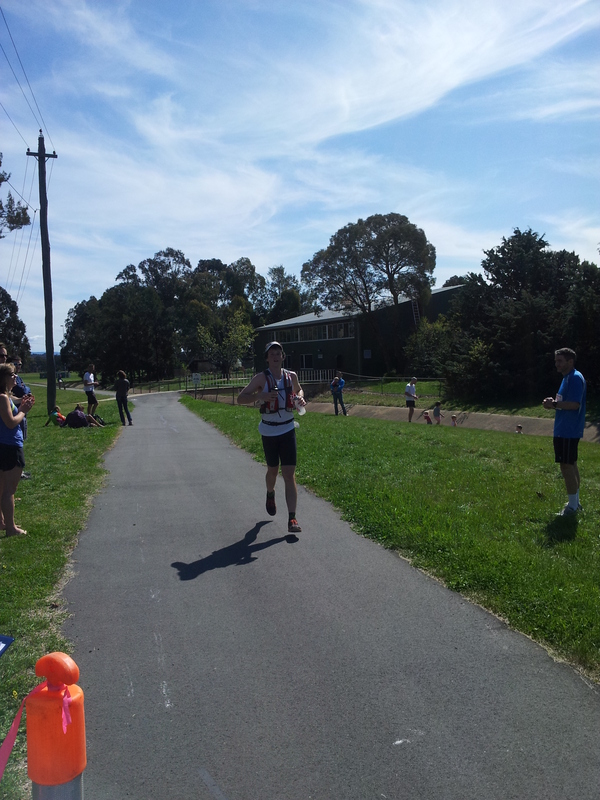 Rob Walter sprinted past me on his way to a sub-7 relay team finish, crazily fast! 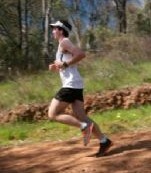 Soon Paul caught me and we ran across the Stromlo grass track together feeling like school cross country kids. Paul took the lead as we hiked up the fire trails, and I couldn’t see anyone behind us on the switchbacks. I wanted to have a lead going into the flatter leg 3, as I was feeling strong on the hills but vulnerable on the fast running sections, so snuck away from Paul as we came down from Stromlo. The Arboretum section seemed to drag on forever until finally I shuffled into CP2, desperate for sunscreen and craving some water. 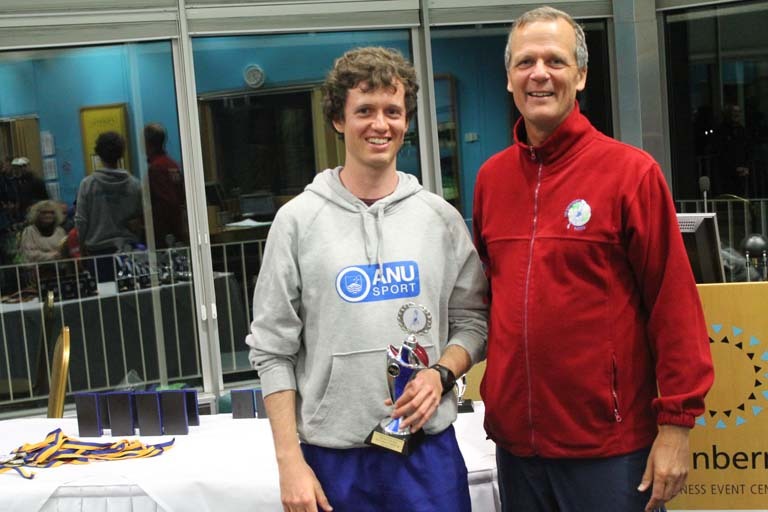 Once again Sarah was on top of everything and seeing the ANU tri club relay boys was a boost. It was clear the next leg would be a battle, as I resorted to a walk-run combo through the cork plantation. Brad Carron-Arthur sped past me on his way to the 3rd fastest time for leg 3, having only been called up to race a few days beforehand. However I saw him again a few minutes later on the Aranda powerline track, where some of the course markings had been interfered with. Fortunately Elizabeth Humphries came through with perfect timing and showed us the correct route, thanks! Black mountain was a struggle but I was spurred on by a steady stream of relay runner reports of Paul being 5mins or 500m behind me, just out of sight. A bit of warm, flat coke near the top did the trick (or maybe it was the fact we were heading downhill again) and my spirits picked up towards Bruce Ridge. It was a lonely, steady jog from here through the footpaths of Lyneham and the stormwater drains of Dickson. 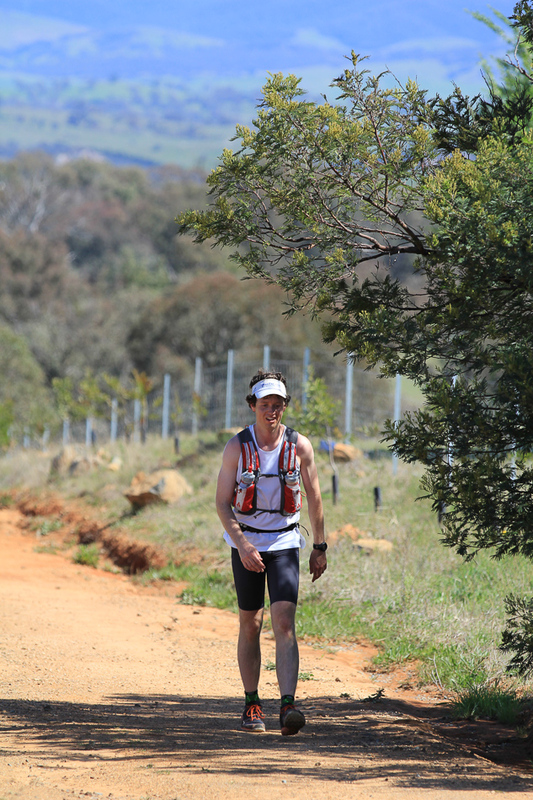 The party atmosphere at CP3 was encouraging but I had to stay on task so it was quickly off to Majura. Hiking up to the saddle, I reached the out-and-back summit section and opted for a rogaining inspired bag drop. A strategic call to my crew at CP3 gave them a bit of a fright, but got me an update on who was chasing and how close they were. I managed to get back from the trig, grab my pack and sneak off before any solo runners came through. This gave me the psychological edge of being out of sight of any chasers, so I really had to concentrate on not taking a tumble down the mountain. A quick calculation told me a sub-10 finish was achievable. Just before the final Ainslie climb, up popped an aid station with Tom Landon-Smith from AROC, and I managed a “You organised TNF100, both our names are Tom!” I hiked purposefully up the back of Ainslie, stealing a glance over my shoulder where possible. All of a sudden I was running on that damned concrete again, coming down Ainslie and around the lake towards the finish. 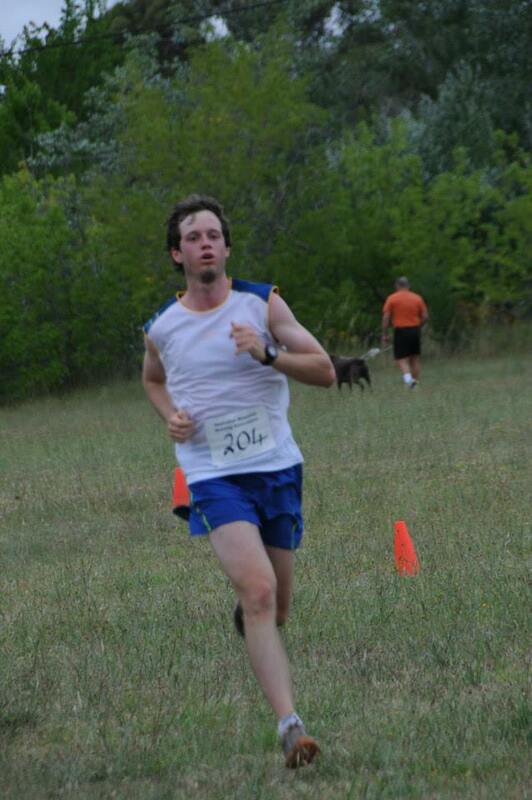 A cheeky challenge from my mate Jack saw me “sprint” up the final grassy hill – 9:48:48. The training, planning and support from family and crew all came together for a thoroughly enjoyable race. Thanks to the Sri Chinmoy marathon team and Martin Fryer for a fun and challenging new course. The aid station volunteers were super friendly and supportive. Congrats to the other solo finishers and thanks to the relay crews for the motivation as they flew past us. Nutrition: Skipped the gluten loading party on Friday night. ~240 cals/hr of homemade mix – 80% maltodextrin / 20% soy protein isolate + flavouring/electrolytes. 500mL water/hr with extra at CPs. A bit of coke at aid stations and 100mg caffeine on the last two legs. Gear: Inov8 Trailroc 255, Ultimate Direction PB vest.